When I was fifteen I wanted Jake Ryan to pick me up at school in his red Porsche. But with age comes knowledge and my dreams have since changed. Today, I have the extra candles on my cake to prove how many years have passed. (Ssssh! Don't ask how many. It's supposed to be a HAPPY day and I'm somewhat in denial). 2) I received many full requests on my MG novel, the agents loving my voice. 3) Unfortunately, said MG novel was rejected. 4) I shelved the above and wrote a YA. We'll see what happens. 5) Relationships with my family and friends blossomed. 6) I fell in love with a man I'd met twenty years ago. 8) My faithful companion, Ike (a black Lab), passed away. 9) I moved to a new country, France, with nothing but a couple pieces of art, a few family heirlooms, and the clothes on my back. 10) I became an instant mother figure to two kids who only eat French fries. 11) I got rid of all my debt. 12) I wrote a memoir. Again, we'll see what happens. 13) I became part owner of a Bengal kitten. 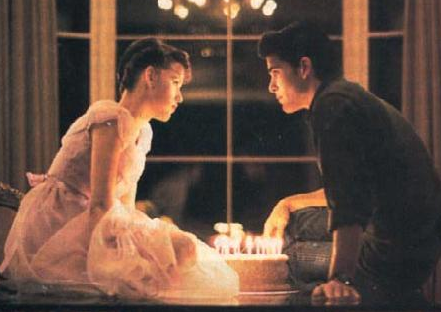 Tonight, I can assure you, when I blow out my candles Jake Ryan will be the farthest thing from my mind. Because when all is said and done, and even though sometimes I feel completely out of my element, life is beautiful for this self-proclaimed principessa. Really, I have so much to be thankful for. What about you? What are you thankful for? If you had one wish, what would it be? I've disabled comments for this post. After all, wishes are supposed to be kept secret. So here's hoping all of yours come true.